Samsung has used its Gear VR virtual reality technology to help people reduce their fear of heights and of public speaking. The tech company gave 27 people the chance to participate in a four-week training programme delivered with Gear VR before offering them the chance to face their fear in real life. The participants were picked for the Be Fearless programme from 7,500 applicants from Germany, Austria, Russia, Romania, Bulgaria, Hungary and the United Arab Emirates. 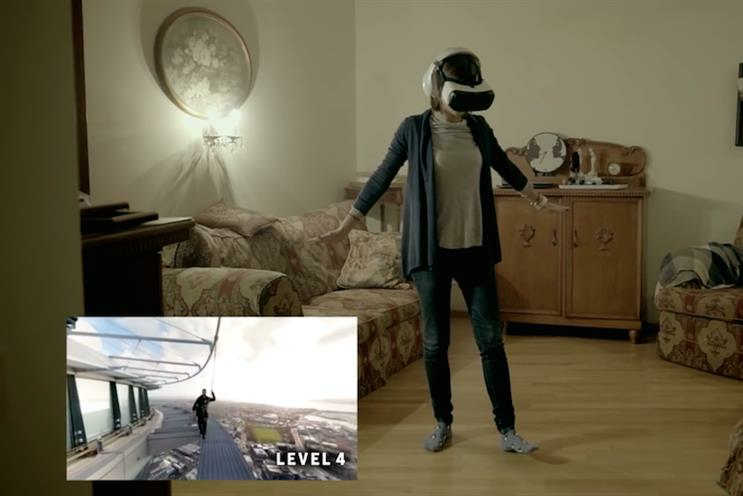 Those afraid of heights were taken through three different scenarios at different levels of difficulty, from travelling upwards in an transparent elevator to heli-skiing. To advance to the next level, participants had to pass an evaluation based on several scientific and medically proven criteria such as heart rate (measured with the Samsung Gear S smartwatch), eye movement and self-assessment of anxiety levels. According to Samsung, the training helped 87.5% of the group who are afraid of heights to reduce their anxiety level by 23.6%. The below ad shows some people who took the fear of heights training going on to take a real life zip line ride.